On the day of the enthronement of the metropolitan of the Orthodox Church of Ukraine (OCU), President Petro Poroshenko said that in accordance with the Constitution of Ukraine, the church is and will remain independent of the state. At the same time, Ivanna Klimpush-Tsintsadze, the deputy prime minister for issues of European and Euro-Atlantic Integration, said that Ukraine is deeply offended by the presumptuousness of Russian President Vladimir Putin who has stated that he will defend the rights of Orthodox believers in Ukraine. 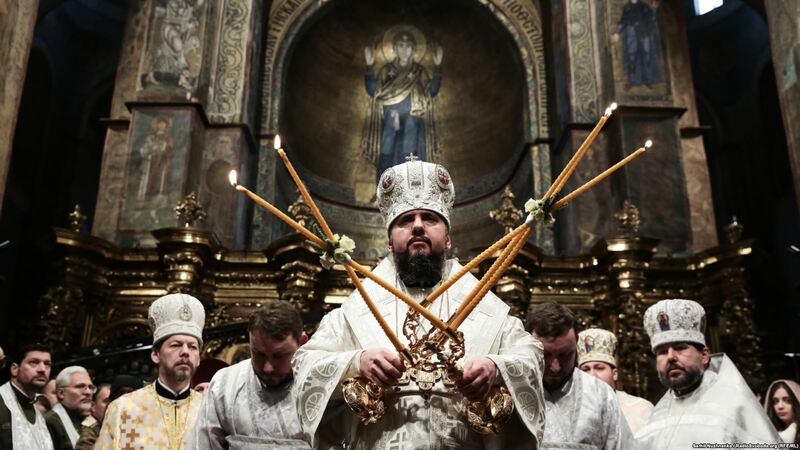 Metropolitan Epiphany, the newly installed head of the OCU, was even more blunt: he said that “the Russian Orthodox Church is the last advance post of Vladimir Putin in Ukraine” and that the appearance of the OCU undercuts the imperial goals of the Kremlin leader.